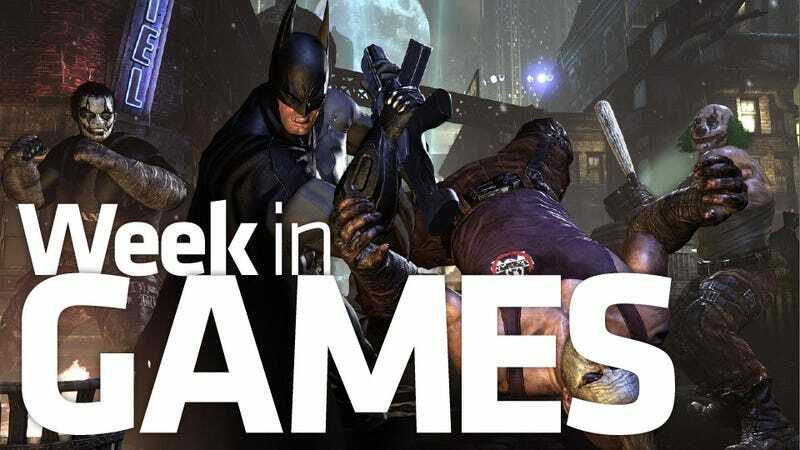 Batman: Arkham City dominates this week's new releases, but there are alternatives. Skylanders: Spyro's Adventure already is out on five platforms, Professor Layton arrives tomorrow on the DS and Ratchet & Clank returns on Tuesday, too. • Skylanders: Spyro's Adventure (PC, 3DS, 360, PS3, Wii) — Activision's ambitious melding of video game and collectible action figures is perhaps best experienced on the 3DS, where the device seems to "pull" the toys into the platforming action. The console and PC versions also import characters using their action figures. • Batman: Arkham City (PS3, 360) — The inmates run more than the asylum in Rocksteady's highly anticipated sequel to their 2009 hit. Batman will have an even larger world and much more to do in it. • Payday: The Heist (PS3) — OK, now Payday comes out. Delayed at the last minute, it arrives with the PSN update, and blends squad-based shooter action with capers familiar to heist flick fans. • Ratchet & Clank: All 4 One (PS3) — Insomniac's latest entry in the series places a premium on teamwork, with up to four players supported in cooperative multiplayer. Also: Ben 10: Galactic Racing (DS, PS3, Wii, 360); Dungeon Defenders (PS3); JASF: Jane's Advanced Strike Fighters (PC, PS3, 360); Jimmie Johnson's Anything With an Engine (PS3, Wii, 360); Naruto Shippuden: Ultimate Ninja Impact (PSP); PowerUp Heroes (360); Rocksmith (PS3, 360); The Sims 3: Pets (PC, PS3, 360); Tropico 4 (360). What are you getting? What do you want? What are you looking forward to? Sound it off below, and at #twig.